Box Tops for Education is one of the easiest ways to raise money for your kids' school. You simply cut the little pink coupons off products you already purchase and bring them to school, where a volunteer organizes them and ships them off to be redeemed for supplies and equipment. In our school, the volunteer coordinator calls it painless fundraising and it really is. 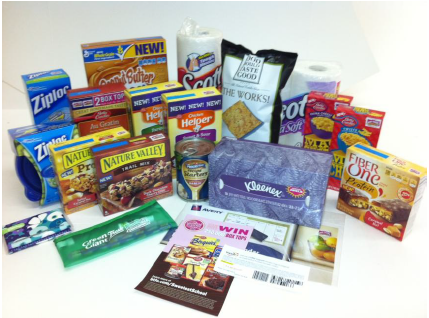 Over 240 products proudly feature Box Tops to clip. You can even play games, enter contests, and shop via the BT4E web portal to earn more Box Tops online! In celebration of reaching more than $500 million to schools since the program started in 1996, Box Tops for Education and its popular brand partners is offering one lucky reader a chance to stock their pantry with delicious and nutritious snacks and meal solutions, home organizing and cleaning products and cost-cutting coupons. Most of these are products we have bought in the past but there were a couple of new favorites: Roo and Jasper are obsessed with the Peanut Butter Toast Crunch cereal and I really like the Food Should Taste Good multigrain tortilla chips. I love that your can get Box Tops on non-food items like Scott, Avery and Ziploc products. And I can't even begin to estimate how many boxes of Kleenex we've gone through this cold and flu season… cutting out the Box Tops has been my only solace in sickness. 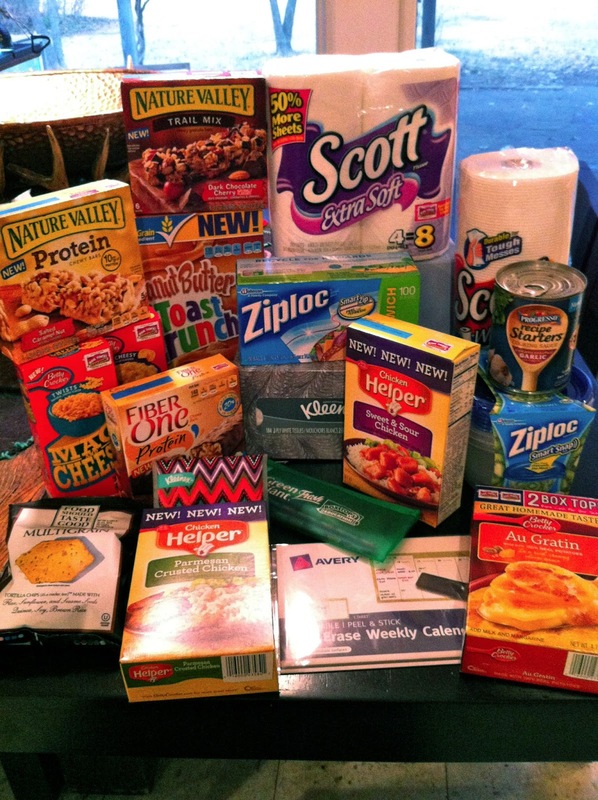 If you'd like to win a Pantry Stock Up pack, enter using the form below. In accordance to the FTC Guidelines and the WOMMA Code of Ethics, I am disclosing that I received a Pantry Stock Up Gift Pack from General Mills, Box Tops for Education and its program partners to facilitate this review. No other compensation was provided. All opinions are, as usual, entirely my own. I collect box tops and like to get them from Golden Grahams. Yes we participate and we cut many of them from toaster strudels. We do and we get them from golden grahams and pizza rolls! Totino's Pizzas. The boys love them! Yes, I do. My favorite product is Totino's pizza rolls. I love the ziploc bags! I participated when I was in school. I used to clip from cinnamon toast crunch boxes! i did participate and my favorite items were the cereal bars because i got 2 per box. I have collected box tops for several years! We participate in collecting Box tops for our school We love to eat cheerios. We do participate in BTFE. My favorite BTFE eligible product is Cinnamon Toast Crunch. We have been doing box tops for a few years now. My favorite product is hamburger helper. From the Big G cereals. Yes I participate. I want to try the Peanut Butter Toast Crunch. I love the scallop potatoes and the hamburger helpers. I have been collecting the box tops for my friends children and so far that is my only experience of doing it since my children are currently too young for school. I like to clip them from Ziploc boxes since I go through loads of them! No, I don't clip them now but I did when my kids were in Elementary school. Yes, I participate in Box Tops for Education & I like to get them from Fiber One products, especially the brownies. I used to for my kids--now for my grands. I guess I collect the most from cereal boxes. Thank you for the oppurtunity for my grandkids and i.
I do participate and I like to clip them from Lucky Charms. I most definitely participate. I love how easy it is! I clip the most probably from Nature Valley granola bars. Yes, we do participate. Our favorite item is GoGurts. Thanks so much! Oh yes we participate! We collect alot from Hamburger Helper...we love the beef fried rice! And...little Carter LOVES their Scooby Doo fun fruits! I collect them for the school my mom teaches at! Yes we do - we just took a bunch over to the school. We get the most from cereal boxes. yes, we love to clip them off of fruit snacks! I don't participate in Box Tops for Education but plan to start! I collect them to give to my neighbor, and my favorite product to clip them from is Honey Nut Cheerios! My favorite product for Box Tops are the Betty Crocker Au Gratin potatoes. Yes, I collect them and my favorite product to clip them from is Old El Paso Dinner kits and Refried Beans. we do participate and we clip from Nature Valley Granola bars. Peanut butter flavor the most! We are very active in collecting Box Tops! Our school really needs them! I love that they are on the many products we buy, I love finding them on our cereal boxes and tortillas! I do not, currently, but I should. Yes, my family does participate. Cereal bars, fruit snacks, and more. yes, i save them for my kids school!